Mid-Life Cruising!!! : First Solo Sail! 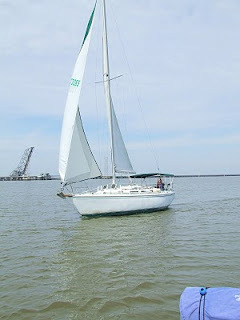 Yesterday we finally had our first solo sail since we purchased our sailboat. Actually we had a little help. Our friends, Ted and Jeff, came along with us on Ted's sailboat and Jeff jumped aboard to help us raise the sails. Once the sails were up Jeff jumped ship, but we still had their guidance during the day. It was a great day! 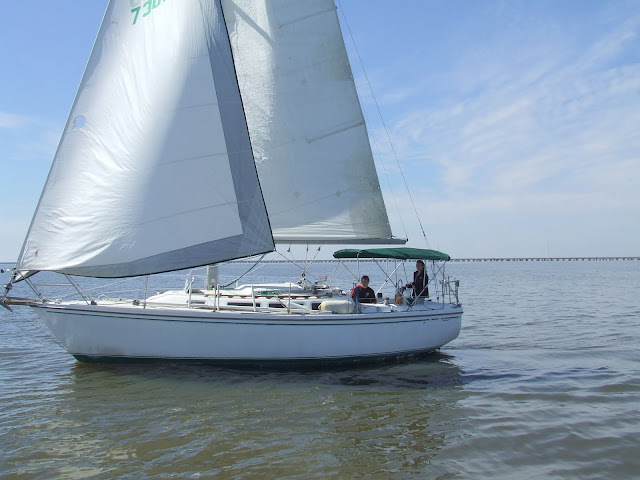 The weather was beautiful and there was just a little wind on Lake Pontchartrain, which was perfect for our first sail. 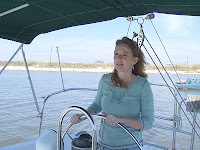 We practiced "tacking" and basic steering for most of the day, and learned to use the compass to keep on our path. 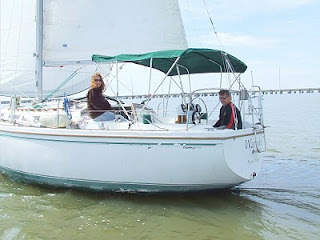 When we were ready to head home, Ken got the sails down on the sailboat while I kept the boat facing into the wind. We had a great time, and are even more excited about sailing our sailboat this summer to further destinations. Next time I'm going to try raising and lowering the sails myself. Hmmm. More pictures of our First Sail in our album. Thanks again Ted an Jeff! We really appreciate the support! 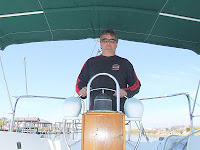 (Ted is our friend who's lived on a sailboat for years and plans on cruising as well). Hasta luego .... until then. Midlife Cruising!